ease of use and peace of mind. In addition to our straightforward online interface, we provide free phone consultations to make sure everything makes sense to you along the way. Your security and privacy are extremely important to us. We use technologies and practices designed to keep your information safe and secure. The first step is simple, create a profile with RamseyInvesting.com. 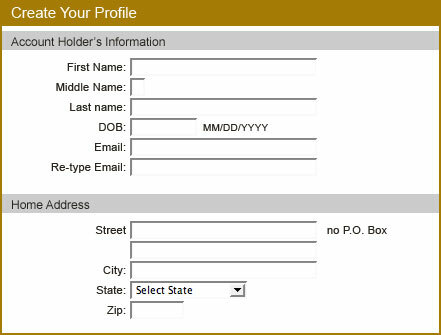 Once your profile is complete, we will e-mail your username and password so that you can log in for Step 2. 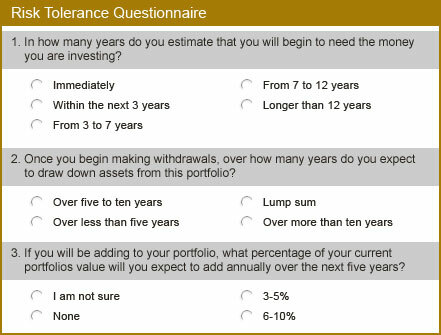 Complete our Risk Tolerance Questionnaire to help determine how aggressively or conservatively your portfolio should be invested. After reviewing your answers, we will post your Target Asset Allocation. At this time you may schedule a free phone consultation with an Investment Advisor Representative to answer your questions. 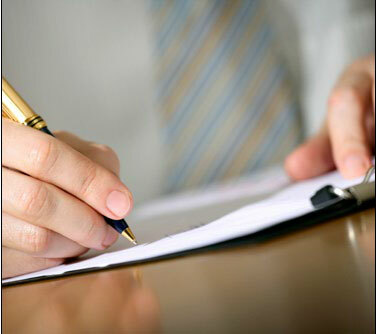 Provide basic account information to help us better understand the assets you would like managed. 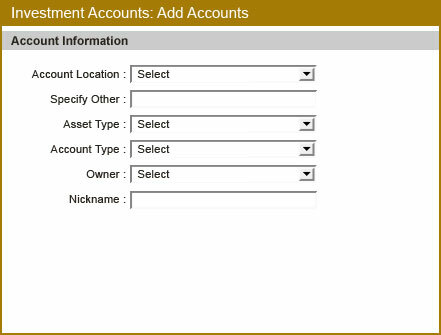 For each account, this includes the account type, owners, location, and holdings. A minimum of $50,000 is necessary for account management. with a balance of $20,000 or greater. Mutual funds that are managed actively and ETFs. Mutual funds and ETFs that track indexes. Actively-managed funds with social screens. Please note: If combining accounts is necessary, we will cover that in our next phone call with you. 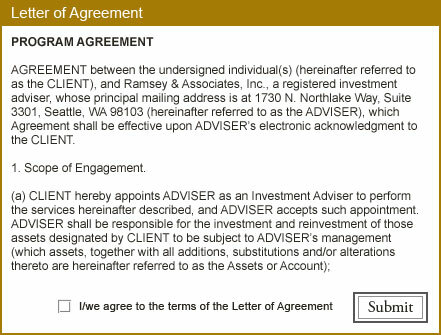 Sign our Program Agreement to become a client of RamseyInvesting.com. But first, please read through and be sure that you understand the terms and conditions to which you are agreeing when you click "Submit." Set up your Schwab accounts for RamseyInvesting.com to manage. When you print and fill out your Schwab account paperwork we will assist you over the phone and/or via email. At this time you may schedule a free phone call with a Paraplanner to answer your questions. 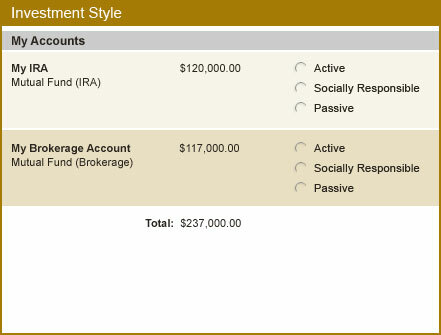 RamseyInvesting.com will invest your accounts based on your Target Asset Allocation and Investment Style selections. Your portfolio will be complete and available to view online. You may schedule a free phone call to learn how to run your 24/7 online performance reporting. We will regularly review your accounts and rebalance them periodically as well as when the market dictates. You will be notified via email when we have completed trades. During your annual review phone call we will discuss changes in your investment goals and how that might affect your portfolio. We'll manage your investments so you can enjoy life!